No major spoilers but the spoiler adverse should pass this up. The subtitle of Justice League could be “Do No Harm.” One of the main missions of the film seems to be to repair the damage done to DC Comics characters in 2016’s Batman v Superman: Dawn of Justice. In that regard, Justice League succeeds. The film brings back Superman who had died at the end of Batman v Superman. What’s more, he’s brought back (after an understandable period of adjustment) as being….well, Superman. With 2013’s Man of Steel and Batman v Superman, the Man of Steel was full of self doubt, unsteady and, at times, not very Superman-like. In Justice League, Henry Cavill’s Superman costume looks like it has been cleaned. It looked dirty in his previous two appearances. Even better, Superman embraces being a hero. That’s what Superman does. The movie doesn’t have Clark Kent wink at the audience, the way comic book Clark Kent did decades ago. But it’s a big improvement. And Superman actually isn’t in the movie that much. Other characters do a lot of the heavy lifting. Gal Gadot’s Wonder Woman understandably carries a lot of the load. Jason Momoa grabs attention as Aquaman, a character general audiences probably aren’t that familiar with. Ezra Miller brings a neurotic take on the Flash. Finally, there’s Ben Affleck’s Batman. The actor took much of the brunt of criticism for Batman v Superman, which depicted the character at times as a homicidal maniac. The “do no harm” label applies here as well. Batman is more on an even keel (well, as much as a guy who dresses up in a Bat costume can). The new-look Affleck/Batman even shows some compassion at times. The production of this film has been a bit of a soap opera. Extensive rewrites and reshoots. A large budget, raising doubts whether this movie will ever earn a dime of profit. And even having Henry Cavill’s mustache (grown for Mission: Impossible 6) digitally erased in the reshoots. And, of course, there has been plenty of speculation whether Affleck will return as Batman. Intentional or not, a scene in the film evokes this when Affleck’s aging Bruce Wayne acknowledges he can’t keep being Batman much longer. In the end, the movie makes the viewer forget the soap opera. That may be the biggest compliment one can provide. GRADE: B-Plus. Bond 25’s U.S. competition just got tougher. Warner Bros. has rescheduled Wonder Woman 2, the sequel to this year’s hit, to Nov. 1, 2019, The Hollywood Reporter said. That’s six weeks earlier than it’s previous release date of Dec. 13 — and one week before Bond 25’s current U.S. date of Nov. 8, 2019. Warners moved the Wonder Woman sequel after Walt Disney Co. moved Star Wars Episode IX to Dec. 20, 2019, THR said. That movie originally had a May 2019 release date. But the Star Wars entry changed directors (to J.J. Abrams from Colin Trevorrow), causing Disney to push back its release. Metro-Goldwyn-Mayer and Eon Productions announced the Nov. 8 date for Bond 25 in July. For the moment, there isn’t an official distributor for the 007 movie. However, Deadline: Hollywood reported on Sunday that MGM and Annapurna Pictures’ new distribution joint venture is close to being named the U.S. distributor of Bond 25. An international distributor hasn’t been decided, Deadline said. If the Nov. 8 date stands, Bond 25 will have major competition in the U.S. from the second weekend of Wonder Woman 2. (Bond 25 is to come out earlier internationally but a date hasn’t been specified.) Patty Jenkins, who directed this year’s film, is scheduled to helm the sequel. One potential caveat: Page Six, the New York Post’s gossip operation, on Nov. 11 reported that Wonder Woman star Gal Gadot is balking at playing the character again if producer-mogul Brett Ratner’s RatPac-Dune is involved with Wonder Woman 2. Warner Bros. has called that story false. RatPac-Dune has helped finance a number of Warner Bros. movies over the past few years, including Wonder Woman. Ratner, meanwhile, has been accused of sexual misconduct. On the other hand, given how Wonder Woman was both a critical and box office hit, Warner Bros. has incentive to get Gadot back. She has been a major part of the marketing for Justice League, which comes out this week. UPDATE: The Los Angeles Times reported separately that the RatPac-Dune deal with Warner Bros. expires in spring 2018 and likely won’t affect Wonder Woman 2. Footnote: Warner Bros. has been among those studios vying to be a Bond 25 distributor. Warner Bros. this morning brought out a new trailer for Justice League, its big superhero movie. The film, due out Nov. 17, has been the subject of a lot of press coverage and seen extensive reshoots. The new trailer features a lot of explosions and mayhem as Earth is imperiled with Batman (Ben Affleck) and Wonder Woman (Gal Gadot) leading a new team. And there’s some humor toward the end, presumably Warners’ way of addressing criticism that 2016’s Batman v Superman: Dawn of Justice was too dark and moody. Speaking of Superman, this is the first Justice League trailer where he appears. But it’s still unclear how they’re going to bring him back. UPDATE (July 22): Ben Affleck said at the San Diego Comic Con today he’s still playing Batman, according to numerous reports. Among the outlets reporting on Affleck’s remarks: COLLIDER.COM, the New York DAILY NEWS and THE HOLLYWOOD REPORTER. It was the latter, in a story on Friday, that said Warner Bros. was ready to ease Affleck out of the role. ORIGINAL POST (July 21): Just when Warner Bros.’s DC Extended Universe seems to get on track, it’s undergoing a public relations problem during the San Diego Comic Con. You remember when the DCEU finally was getting good PR? It was just last month when Wonder Woman generated both ticket sales and positive reviews. Just weeks later, the buzz is that Warner Bros. (aka “Mr. Warner,” this blog’s nickname for the studio) is getting ready to ease the current Batman, Ben Affleck, out of the role. At least’s that’s according to a story by Kim Masters in The Hollywood Reporter. 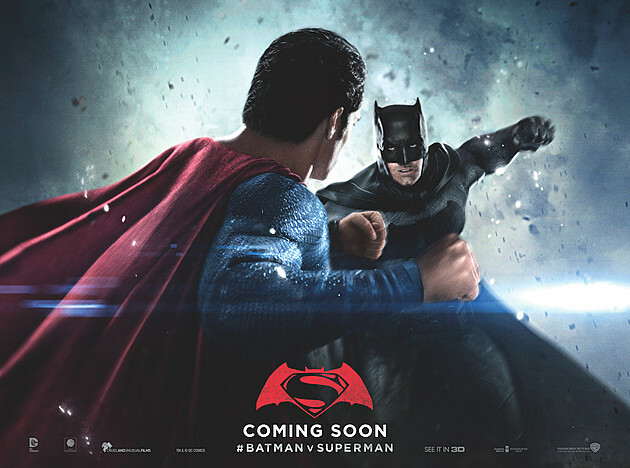 Affleck got top billing in 2016’s Batman v Superman: Dawn of Justice. That movie introduced Gal Gadot’s Wonder Woman. It did good (but sub $1 billion worldwide) business while getting terrible reviews. Still, Affleck’s Batman created a buzz. First, it was the actor would write, direct and star in a solo Batman movie titled The Batman. Then, well, he wasn’t going to direct after all. A new director, Matt Reeves, was hired. Initially, the buzz was that Affleck’s script would be used. Then, this month, the news came out that Affleck’s script was being jettisoned and things would start over. (A) source with knowledge of the situation says that the studio is working on plans to usher out Affleck’s Batman — gracefully, addressing the change in some shape or form in one of the upcoming DC films. Exactly when and how that might happen has yet to be determined, but it would be wise to bet against Affleck starring in The Batman. The thing is, the massive San Diego convention has become a forum for studios to promote upcoming films, and not just movies based on comic books. Justice League is the next DCEU film and a followup to Batman v Superman. It’s supposed to address some of the faults (i.e. too gloomy) present in the 2016 film. In Batman v Superman, Affleck, who turns 45 on Aug. 15, played an older Batman. It was very much influenced by the 1986 mini-series The Dark Knight Returns by writer-artist Frank Miller. In that story, Batman comes out of retirement. We’ll see how all this turns out. Still, it’s doubtful Mr. Warner appreciates the “Affleck is out” buzz generated by The Hollywood Reporter story. UPDATE (June 5): Wonder Woman’s opening weekend was actually better than the estimate released on Sunday. The movie’s box office take in the U.S. and Canada was $103.3 million, according to the Box Office Mojo website. ORIGINAL POST (June 4): Wonder Woman, after generating good reviews, also scored at the box office. The film, starring Gal Gadot and directed by Patty Jenkins, will have an estimated $100.5 million in U.S. and Canadian ticket sales, according to Variety. It’s the biggest opening of a film from a woman director. The previous record was $85 million for Fifty Shades of Grey, directed by Sam Taylor-Johnson, over the Feb. 13-15, 2015 weekend, according to Deadline: Hollywood. The results provide a lift for Warner Bros. and its DC Comics unit. Last year, two of the studio’s superhero entries, Batman v Superman: Dawn of Justice and Suicide Squad were savaged by critics. Bad reviews may have contributed to quick falloffs in ticket sales for both movies. The two films had larger openings than Wonder Woman. Batman v Superman totaled $166 million in its opening weekend and Suicide Squad $133.7 million. However, Wonder Woman was a solo adventure while Batman v Superman and Suicide Squad featured multiple characters. Batman v Superman included Gadot’s Wonder Woman as well as short appearances by other characters who will be part of Justice League, coming out in November. Suicide Squad featured villains forced to work for the U.S. government and also had an appearance by Ben Affleck’s Batman. Appropriately, it was Wonder Woman who broke the glass ceiling of superhero movies. If anyone doubted it, star Gal Gadot and director Patty Jenkins showed women are more than capable of carrying a superhero epic on their shoulders. The movie also provides a much-needed lift to Warner Bros.’s franchise of films based on DC Comics characters. Movies such as Batman v Superman: Dawn of Justice and Suicide Squad opened big but fell off quickly amid sour reviews and bad word of mouth. Wonder Woman likelywon’t open as big in the box office. It spotlights a single character, unlike Batman v Superman and Suicide Squad. But it appears to be enjoying good word of mouth and absolutely is getting good reviews, with a “fresh” rating above 90 percent on the Rotten Tomatoes website. Superhero movies have been something of a boys club. You’d occasionally get something like 2005’s Elektra with Jennifer Garner. However, it has been a male-dominated genre. Marvel Studios has featured Scarlett Johansson’s Black Widow in several movies, but she’s either been part off a group or a supporting character. Meanwhile, things are simply more interesting with a Warner Bros./DC Comic movies that’s not being lambasted for being crummy. Marvel has been on a roll but it could use some competition to keep it on its toes. Wonder Woman is by no means a copy of that Marvel film. But Wonder Woman, like the first Captain America movie, lays the groundwork for more to come. Warner Bros.’s Wonder Woman movie has received a surge of positive reviews, a big change from the usual pattern for the studio’s superhero films. 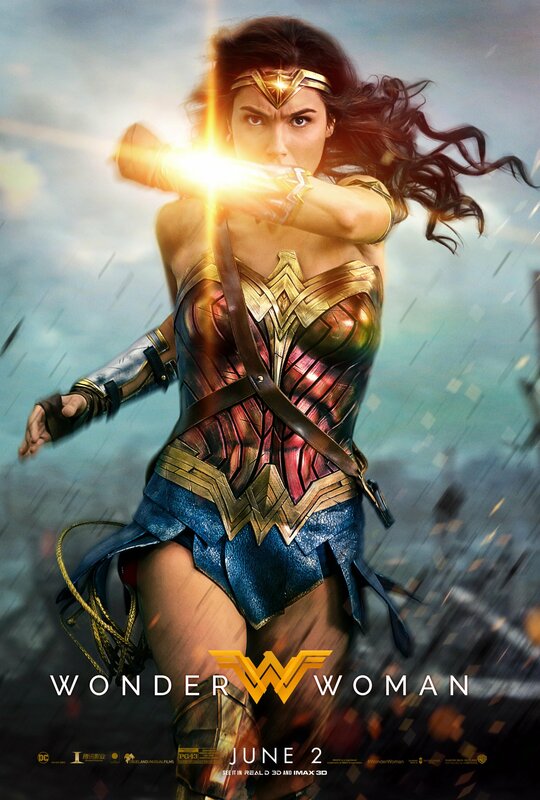 The movie starring Gal Gadot as the title character has an early score of 97 percent on the Rotten Tomatoes website, with 60 positive reviews and two negative ones. That’s a huge change compared with the 28 percent score for Batman v Superman: Dawn of Justice and 25 percent for Suicide Squad. Gadot’s Wonder Woman was part of Batman v Superman (set in the present day). Wonder Woman, which comes out Friday, is set in World War I, a revision from the original comics stories, which were set in World War II. Warners’ movies based on DC Comics characters have generated business at the box office, but not as much as many of the films released by rival Marvel Studios, part of of Walt Disney Co.
“Mr. Warner” wants to improve the reception of its DC-based movies. In any case, here’s a sampling (spoilers excluded) of some of the early reviews.